When you’re doing sales at a dealership your ears perk up when you hear the words “lead generation” come up in a conversation. Car dealership lead generation benefits everyone at work. People in sales get an opportunity to get more money, the front desk workers and mechanics keep busy, and everyone benefits. But all these benefits will only happen if lead generation is handled properly. If you’re thinking about hiring a company or individual to handle lead generation, don’t do anything until you read this post. We’re going to tell you what you should be asking so-called “lead generation experts” to make sure you’re getting the most bang for your buck. You can go onto any lead generation company’s website and see how their process works. You can easily learn about their process and needs, but it’s more difficult to see how good of a fit they’ll be for your business needs. When you’re looking for someone to handle lead generation, make sure to ask these important questions. 1. What’s Your Area Of Expertise? Some skills are going to be the same regardless of what industry you work in. Unfortunately, lead generation isn’t one of them. Generating leads for B2B companies is going to be very different from getting leads for a car dealership. Different industries have different needs for lead generation, and sometimes those skills can’t apply to anything other than the original niche. If the individual or business you’re working with has experience across a variety of industries they could be what you need. But if they work in a realm very different than yours, you may want to go with someone else. 2. How Will My Team Receive Leads? Getting leads is important, but the way you receive them can determine how much success you’ll have with the company. Some companies may choose to simply send you an Excel sheet with customer contact information on it. Others may give you alerts through an app so your salesman can get information when they’re working on the showroom floor. There’s nothing wrong with either method. You just have to think about what would work best for your staff. 3. How Do You Define A Lead? In the world of sales, a lead can mean very different things depending on who you speak with. In some circles, a lead can be anyone who clicked on a link to a car for sale on your website. In others, a lead may mean someone who has already been vetted as an interested buyer buys someone in sales. Think about your definition of a “lead”, then go with a company who agrees with your lead philosophy. 4. Do You Have Any Guarantees? Some lead generation companies may promise you something simple like guaranteed weekly check-ins. Others may make big promises about leads, claiming you’ll have 10 certified leads by the end of the first month and one sale. Regardless of what they promise, make sure they keep it. Any individual or company who talks a big game but can’t deliver on what they promised shouldn’t be handling your leads. Now that you know the car dealership lead generation questions you need to ask, you’re ready to get some answers. We’re here to help you with all your dealership needs. Be sure to reach out to us today so we can get started thinking about the best way to help your business. If you’re still on the fence about whether lead generation is right for your dealership, read our blog post about it. 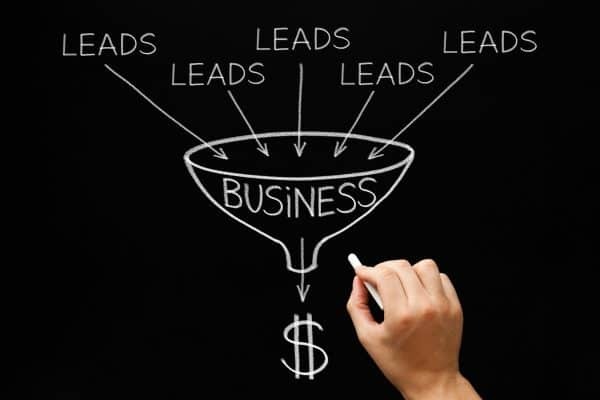 Once you see all the ways lead generation can benefit you, you’ll be eager to start.